On today’s show I discuss making homemade BBQ sauce….and a tomato pie recipe. Folks that stuff in bottles is garbage…very few BBQ sauces are worth spending your money on…so choose carefully. 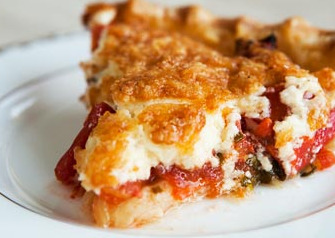 You’re gonna love my tomato pie recipe ! As always, your support of Harvest Eating is greatly appreciated…If you like the show why not leave a review on ITunes and be sure to visit our Facebook page.